Spitalfield is a bit of a name around his east end stomping ground. 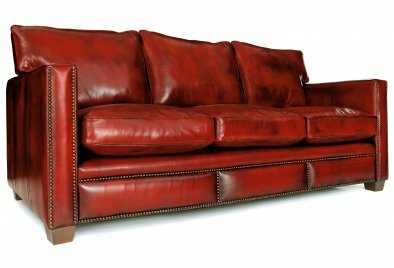 He's that one leather sofa that everybody respects, a bold, no-nonsense kind of guy with a real kind heart. 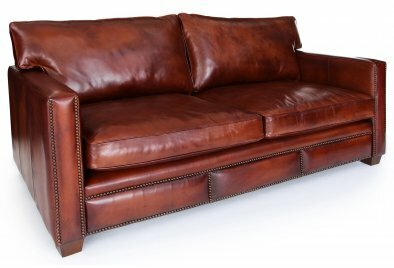 Like the rest of his group, the 'urban collection', he's a very fashionable fella, his clean lines and slim vertical arms make him a slick looking contemporary leather sofa. He's probably got the most traditional look out of all his friends thanks to his smart, hand-hammered, antiqued brass studding and walnut stained, hand-polished, tapered feet. 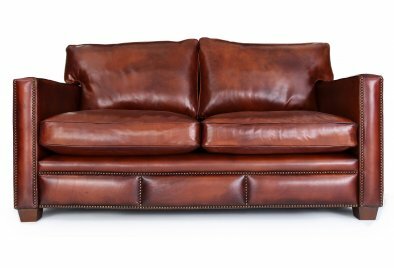 Not all of our leather sofas get to wear our exclusive original leather, but we think Spitalfield wears it so well, it definitely adds to his more classic style thanks to the deep colour and age it's had hand polished into it. 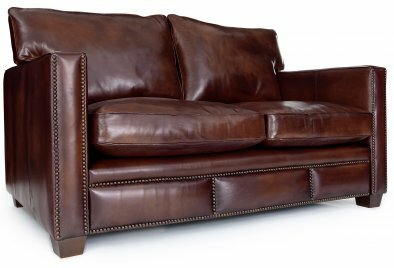 His seat is sprung and his cushions are super comfortable, foam-cored with duck feather topping all held together with gorgeous leather piping. To top it all off he's here to stay with a solid hardwood frame built to perfection, you really can't ask for much more from him. Oh and don't tell him we said this, but we think he looks so handsome in our Chestnut Original Leather, take a look we're sure you'll agree.